Hello and welcome to the Oxford University Cycling Club! Described by some as the oldest student cycling club in the world, we are a furiously enthusiastic club that is always keen to have new members join us. We cater to all corners of the sport including Mountain Biking, Road Racing, Time Trialling, Cyclocross, and some Track Racing as well. No matter your interests or indeed your experience we’d be delighted to welcome you. A brief overview of the club follows below, in the form of a set of FAQs. This includes all the information you need on how to join, as well as lots of reasons why (we think) you should. If you would like some more details on the road or MTB sections have a look at the relevant pages and then please don’t hesitate to get in touch with a member of the committee if you have any further questions. Q: How do I join the club? Is there a membership fee? Membership of the club is organised through our groupspaces page. You need a valid .ox.ac.uk email address to sign up. You can join the OUCC GroupSpaces group here and sign up for membership here. As well as setting you up to ride with us, becoming a member gives you access to things like that club turbos (at Iffley Road), professional coaching, subsidised race entries, club kit, club socials and a number of discounts and offers (see below). Finally, in 2018/19, we’re offering an alumni and friends membership for the first time. 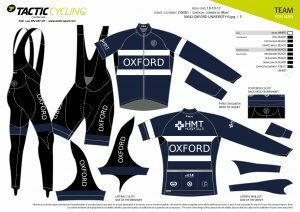 This allows past-OUCC members and friends of the Club to stay involved, buy kit and join rides when they’re in town; alumni membership is also through GroupSpaces, by following this link. Q: Can I ride with you without joining? Non-members are initially very welcome to come along to ride with us and get a feel for the club but will need to join in order to keep riding with us and to have access to coaching, using club turbos, going on trips, using club discounts and buying club kit. Q: What are the discounts and offers that members are entitled to? Q: Does OUCC organise any trips or special events? Yes, lots. As well as travelling to all sorts of races (road, track, MTB…) all over the country, the club also organises an annual January training camp to the Costa Blanca, Spain and a summer tour (this year to the French Alps, last year it was Italy). There are also touring weekend most terms plus occasional special events like velodrome trips and the annual reliability ride. Ultimately, if there is enthusiasm for a particular excursion, we can make it happen. The calendar is worth a look to get a better idea of what we’ve got planned. Q: Can I buy club kit? How? All members are welcome to buy the club kit. We have worked hard with our kit suppliers to provide the highest quality kit possible. We hope you agree that it looks fantastic! There will be a fitting session so you can try it for size before ordering. There are normally two orders placed each year, in Michaelmas and Hilary terms. Q: Am I good enough to join the club? If you own a bike, then yes. Even if you don’t yet own a bike and would like guidance on getting one we can support you in that. The club caters for riders of all abilities. On our Saturday rides there will be a group for all abilities and our coaching structure will support any rider who is prepared to put the effort in. Many of our riders enjoyed cycling milestones such as riding their first centuries or their first races in OUCC kit. Several bought bikes just to join the club. If you are new to the sport you will not be alone at OUCC and we will look after you. Q: What happens if I can’t keep up? When rides are planned it should always be clear whether a ride will be ‘at the pace of the slowest’ or not. Typically it is only some of the squad’s most intense rides that will not wait for stragglers. In this case you should make sure you look at the route beforehand and bring plenty of food, some cash, a phone and a basic repair kit so you can get yourself home. But generally on group rides we will make sure everyone gets home safely, in particular by stopping to regroup at the top of any notable climbs. Q: What happens if I have a mechanical or a puncture on a ride? Put your hand up and shout “puncture”/”mechanical” to alert other riders then safely coast to a suitable place to stop well off the road. Make sure you have spare tubes, a pump and a multi-tool with you so you can fix most ailments. Help and advice will be willingly given if you need it, to help get everyone moving again as soon as possible. We also recommend bringing some cash and a phone so you can get home in the unlikely event that your bike fails completely. Q: Where can I store my bike in Oxford? Can I keep it in my room? This is a tricky issue that many riders spend a long time struggling with. Ideally, most people would have it in their room but this may not always be possible and College policies vary. As a University Club, OUCC will not endorse breaking College rules. However if you approach matters correctly you should be able to keep a bike in your room, even in Colleges where “it is not allowed”. Please do get in touch with us if you would like advice on this . Q: Do I need a top-end carbon bike to ride with OUCC? No. In fact the most important thing is how well you look after your machine. A relatively basic setup that is well tuned and lubricated will serve you well. Q: Where can I clean my bike in Oxford? If you hunt around your college/accommodation you should eventually find a good location (out of the way, with drainage) to wash your bike. If you’re lucky there might even be a hose. Otherwise it’s worth investing in a bucket as well as a sponge, some degreaser and some lubricant. A clean bike is a happy bike that doesn’t let you down on rides. Further, if you are trying to keep your bike inside, it’s doubly important you keep it clean. Q: Do I have to race? No, we are quite happy for you to just ride club runs (especially the Saturday 9am rides) as many members do. Whatever your goals are we will support you (eg tackling a sportive, having a go at riding some track or just trying to get fit). Q: Does OUCC organise social events? The club’s social scene traditionally centres around Wednesday eveing pub gatherings (as well as post-ride coffee stops at Peloton Espresso). Other big events are the Christmas dinner and post-race Varsity dinner with the tabs. On top of this our Social Secretary, Tino has a number of exciting plans for the year. Watch the calendar for details. We have a committee who are elected at the AGM each May* and run the club for a the year. They are the people you should speak to if you have any questions or concerns. *The exception is the Touring Secretary who is re-elected each January, to allow more time for summer tour planning. Following OUCC on social media is another great way to get a feel for what we are up to.